The official charity of Lendy Cowes Week, the Andrew Simpson Foundation, today introduced seven of their new Youth Ambassadors. 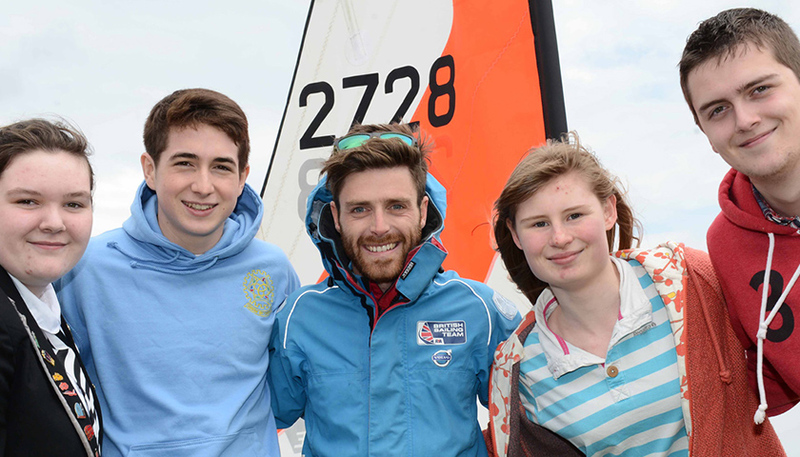 Drew Gibson, Abi Clarke, Cameron Tweedle, Callum Dixon, Catherine Hunt, Edward Higson and Anthony Pinke will each play a vital role in inspiring more young people into the sport and promoting the Foundation’s key activities in their individual sailing clubs and regions. The seven experienced dinghy sailors were all selected for their understanding of how much of a positive impact sailing can have on young people’s lives and for showing an interest in helping to promote sailing to a wider audience. They each have their own unique story but as an example, Callum works instructing children in Dinghy Sailing at Docklands teaching children from various backgrounds and ethnic origins and Drew has coached numerous young people at the South West Youth Sailing Association. 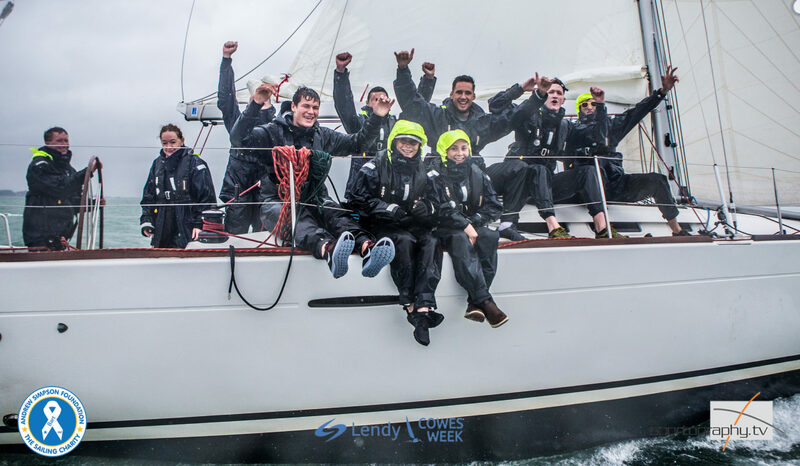 As part of a very wet and quite blustery Lendy Cowes Week Youth Day, the seven Youth Ambassadors were invited to race on board a skippered Sunsail First 40. They sailed brilliantly as a team in rough conditions. Sunsail then surprised Drew with a presentation of a TNG Swiss Watch by sailing legend, Ian Walker for generally being an overall good crew member, and an enthusiastic member of the team. Following the racing, the Ambassadors attended the Andrew Simpson Foundation’s Careers Cafe at the Sugar Store to chat to visitors about their careers and aspirations. Remember to text your donations to BART17 £5 to 70070.